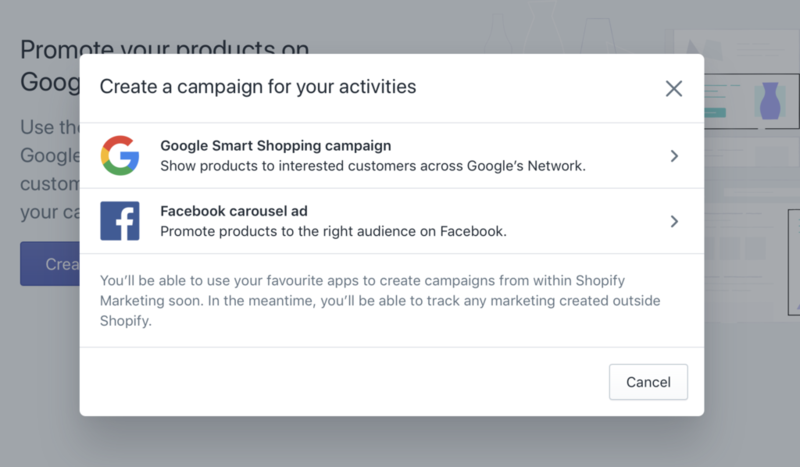 Recently Shopify presented a big, new marketing feature. It allows creating and managing Google and Facebook ads right in the store. The function should be advantageous. Everyone who tried to understand Google Ads' interface should know it. A user should not synchronize products, upload .csv's, or hire SEM specialists if the user fails to run the campaign. Also, the user can keep all data right in the Shopify store, which is very useful. There is only one issue: It does not work at all. New Marketing item appears on the side menu in each store. A user can click Create Campaign button and choose what he/she wants to create. For now, there are two options: Facebook or Google campaign. 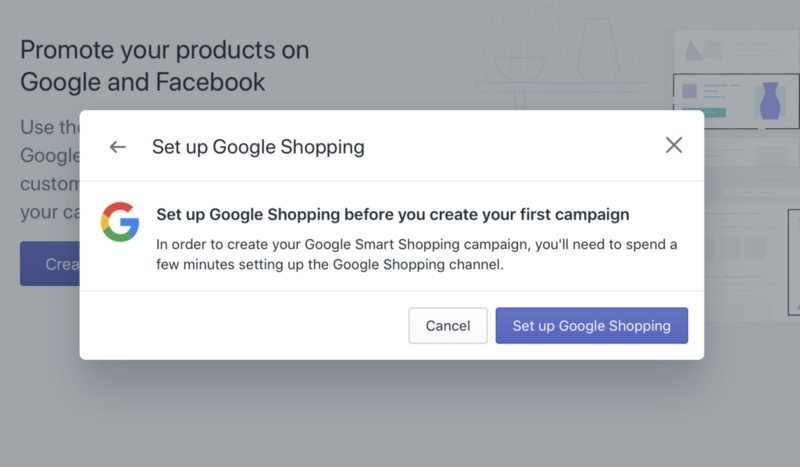 Then, the user should install the new Facebook Marketing or Google Shopping app. It looks easy. But it is not. First of all, I decided to test a Facebook campaign and install the app. The app said that it would not work with Safari. I know that many Shopify owners use Mac, with Safari as the primary browser. However, the app works in all browsers if the user launches it in Chrome first. One issue remains: I don't want to see the code on the app page. Read more about our BookingMap Shopify App. Turn your standard eCommerce store into map-based service like Booking or Airbnb. I used some magic and connected my Facebook Ads, and the app works fine. The user can define the audience, choose target interests, select products to promote and set timing and budget. It is handy for a non-marketing person to launch a campaign. I clicked Publish and prepared myself to see the result. I didn't wait long. Facebook banned my Ads account immediately. Surprise! 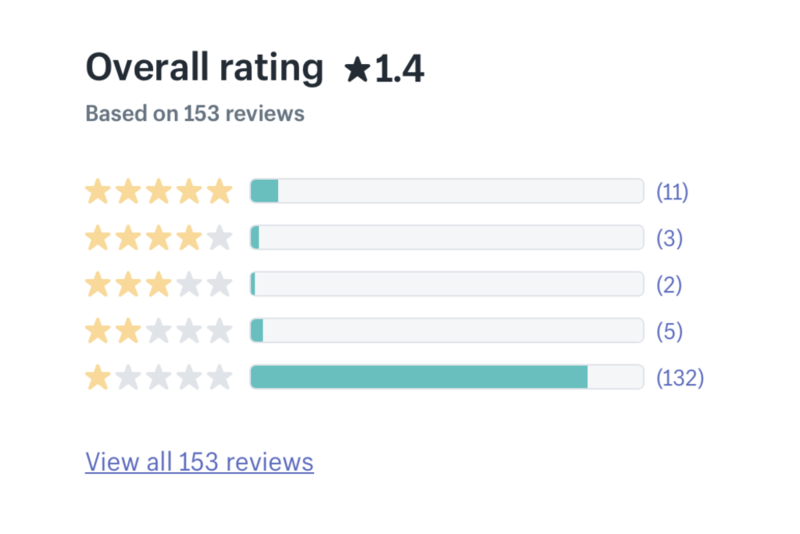 I've looked at the reviews in the Shopify app store, and I'm not alone. At least one other person was banned too, and the others don't think that app performs well. Good job, Shopify! Finally, I couldn't find how to delete the wrong campaign. I had to investigate another app, so I proceeded to Google Shopping installation. The app does not set up automatically. I had to retype the URL of the store, and it is a weird bug, but not critical. I was confused that I could not test the interface in my development store. I saw only a warning window. Learn how to increase sales and get followers in Shopify store with Instagram feed. I went to the Shopify app and saw that the Google Shopping app has 132 one-star reviews. I thought that Google Shopping was not new; a lot of merchants used it for their stores, and it worked fine. I was stunned when I learned that Shopify replaced the good old app with a new one that doesn't work as smoothly. Bold step indeed! Shopify is the best platform for e-commerce today. In my team, we always recommend it to our customers and will continue to do so. However, it would not be honest to speak only about its advantages. We want to be transparent to our customers and provide value and high quality. The article was supposed to be about a helpful feature, but the feature just does not work. We are very upset. This is an accident and not something common, and we believe that the Shopify team will fix it as soon as possible. I will put the update at the top of the article when it is released.